Print and cut them out (click the link below for the free PDF) and place them in a Valentine-themed bag or bowl. Have each participant to draw one slip to answer. In a smaller group setting, you may wish to have everyone answer the same 3-5 questions. However you choose to use them, the goal is to get the group to share and connect with each other. Sometimes the silliest answers will provide a great point of connection for two people who didn’t know they had that common bond. Sometimes questions trigger a sad or difficult memory. Other times questions just draw a blank. I like to give the option of drawing one new question to help folks through the stumbling blocks. Happy Valentine’s Day! I hope your group has fun with the questions and gets to know one another better! Judy, just click the red link in the middle of the page. (Right below “Print and cut them out.”) Once it opens on your device, you should be able to print it. I hope your group enjoys them! 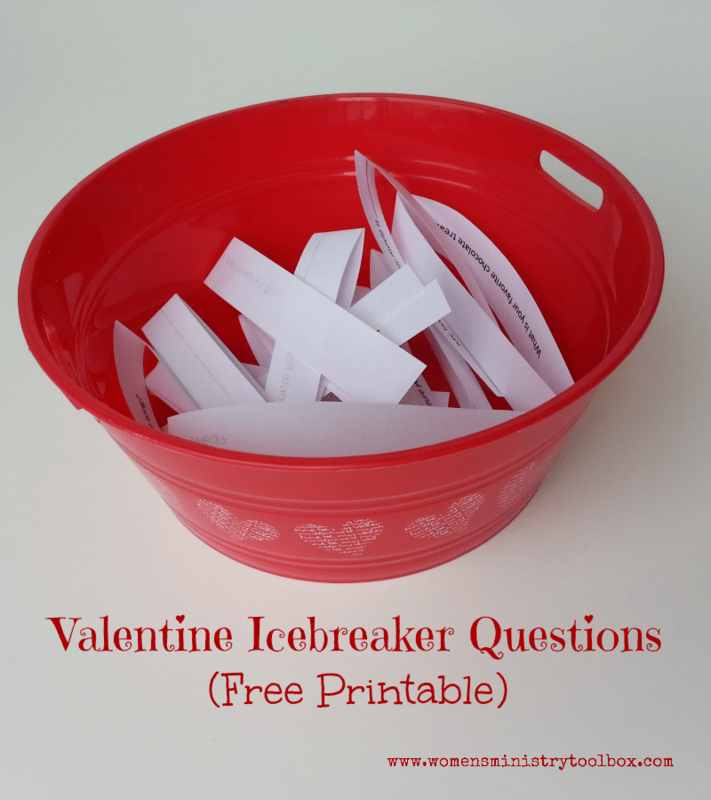 SOOOOOOO how does one PRINT the free Valentine’s icebreakers. Can you make it simple? HI Cyndee, I’m looking for some ice breaker games to play with 15 couples. Any suggestions?